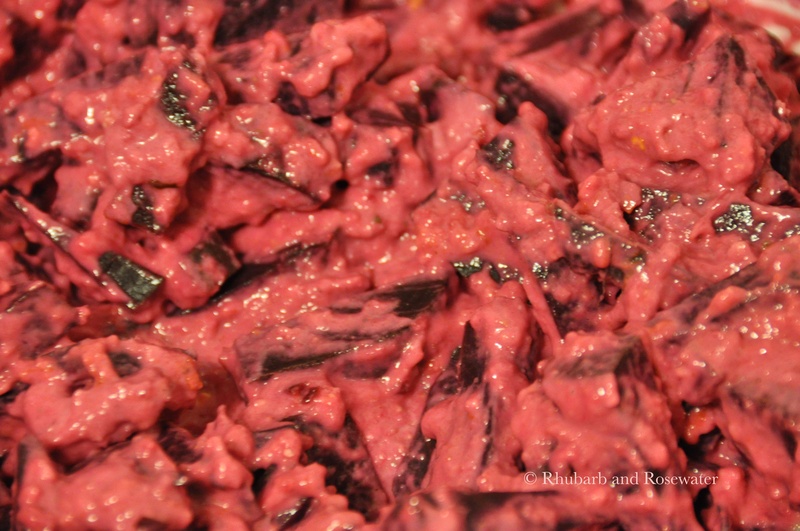 Cooking with beets is wonderful. 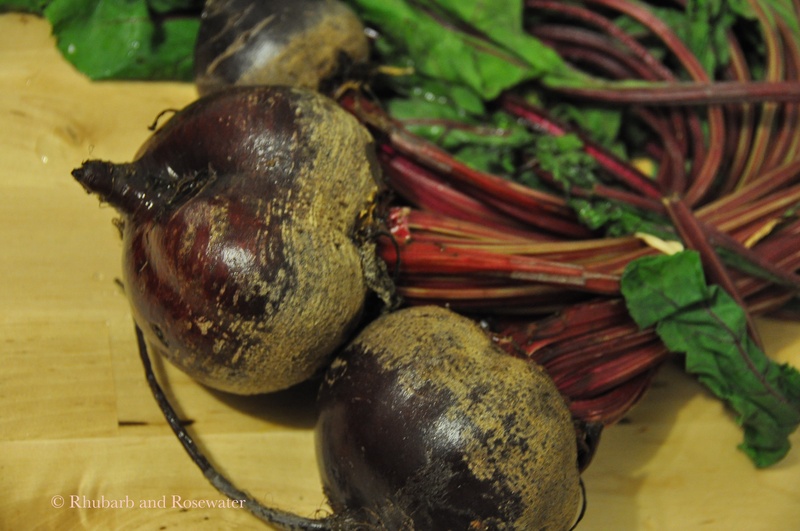 The ruby hues are a pleasure for the eye, the taste is lovely, and they are healthy as well! 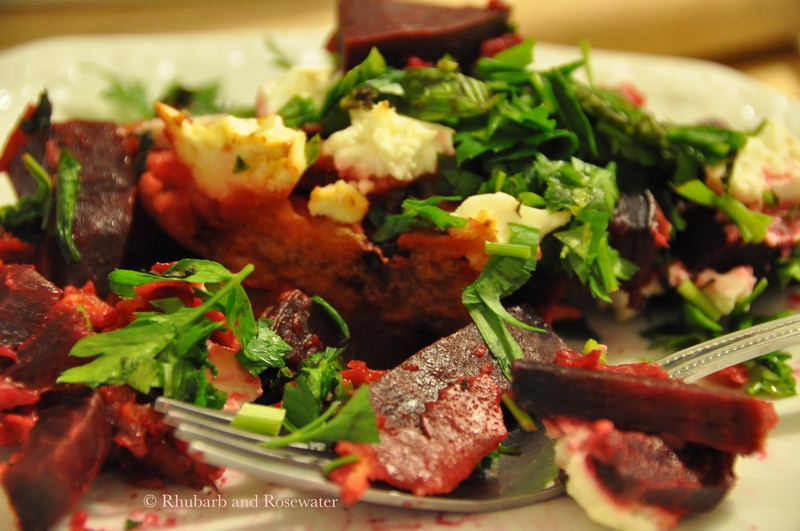 This recipe is easy to make, but it takes a little bit of time as you have to cook the beets. 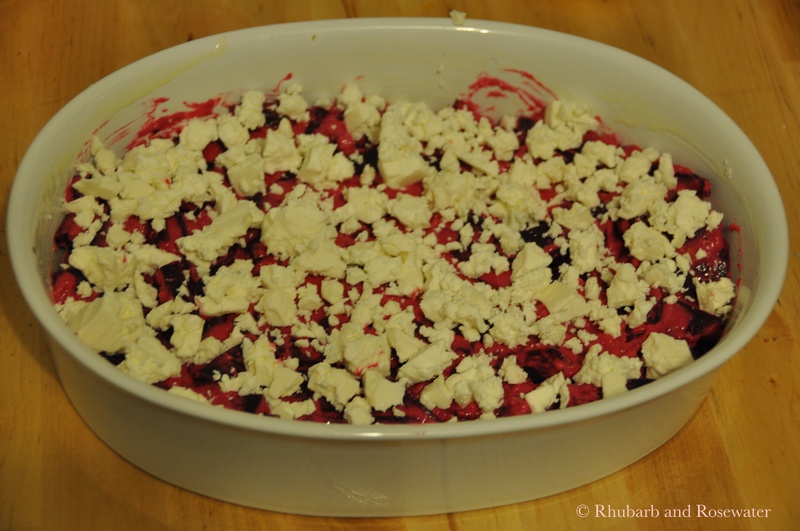 The casserole is a lovely warm but light dinner. The rests of it are a great cold lunch with even more intense flavors on the next day. 1.) 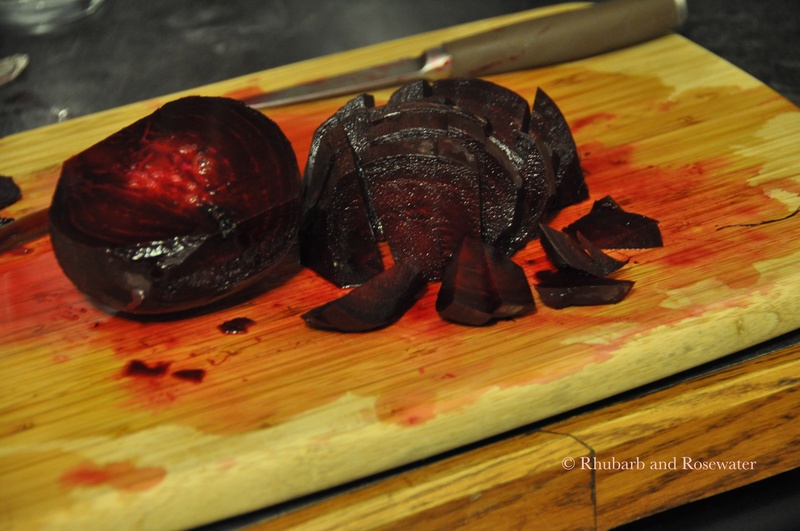 Cut off the greens from the beetroot and wash the roots. Bring water to boil in a pot. 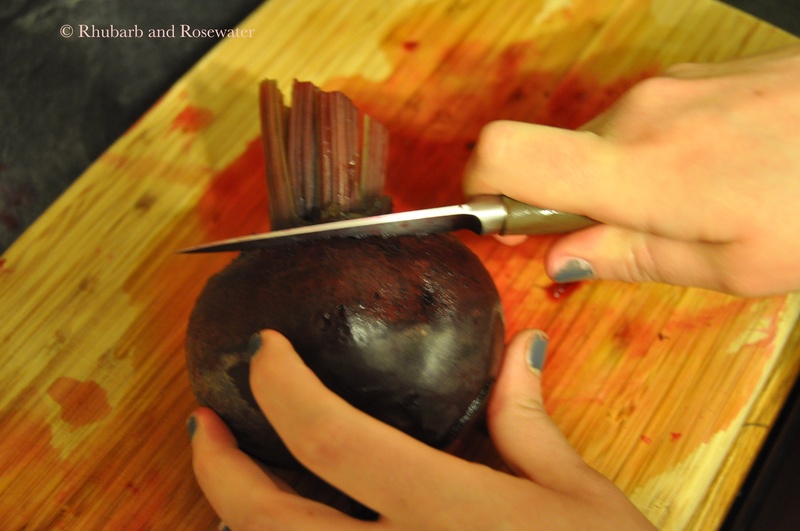 If one of your roots is much bigger than the others, cut it in half, so that they have approximately the same size. 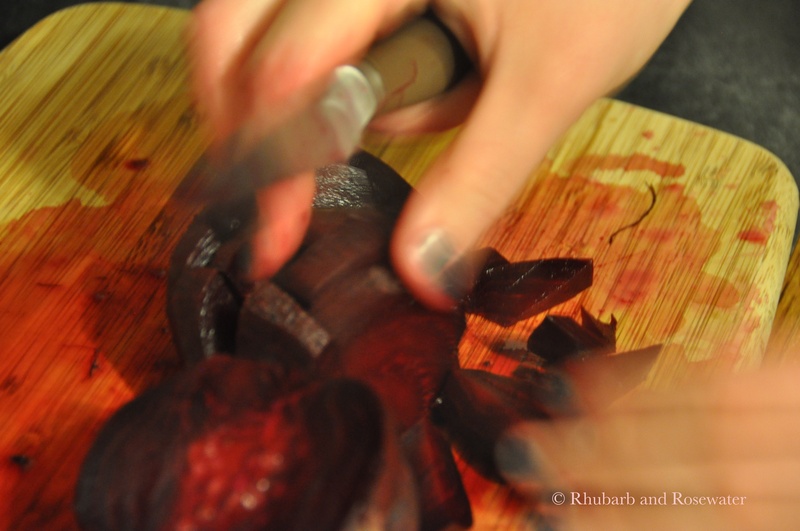 Cook the beets 20-40 minutes, depending on size, until firm to the bite (test with a fork). 2.) Rinse them in cold water. 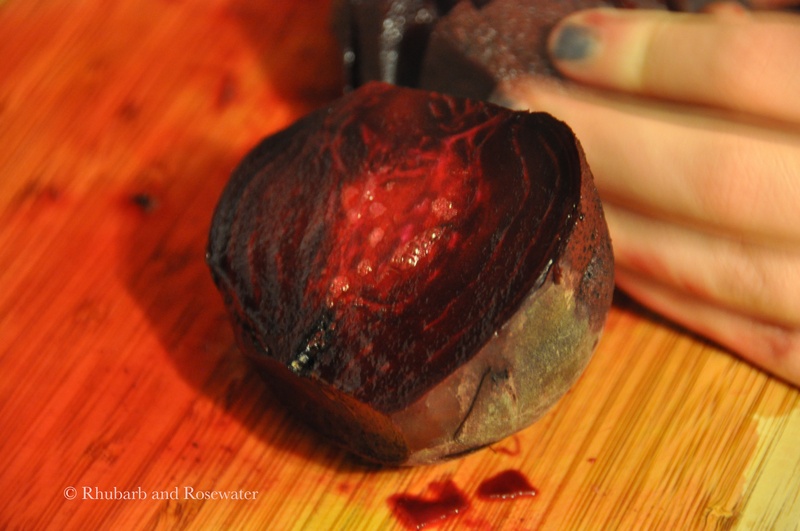 Cut off the top of the beet. 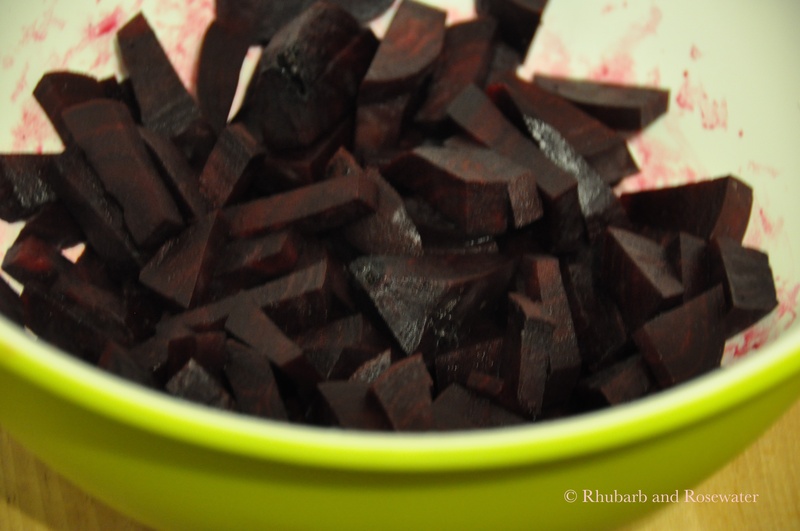 Cut the rest of the root into cubes or stripes and put them in a large bowl. 3.) Stir in two eggs and the butter milk. 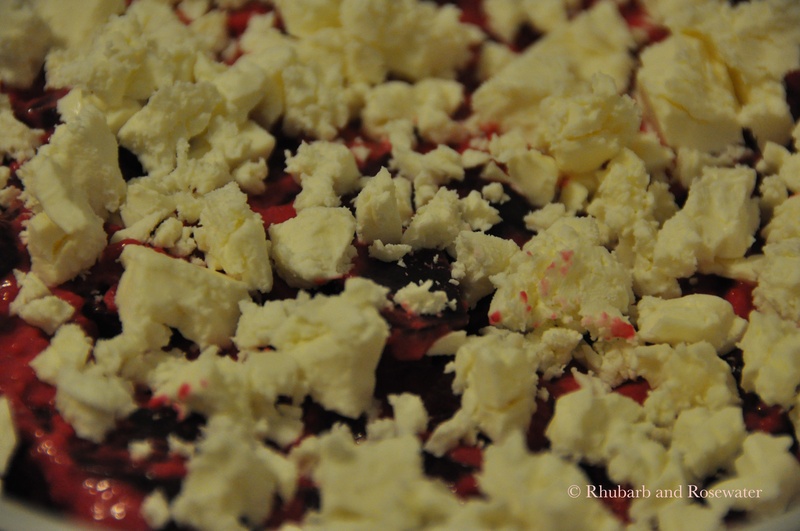 Add the breadcrumbs and the flour. Add spices according to taste. 4.) Pre-heat the oven to 400˚F. 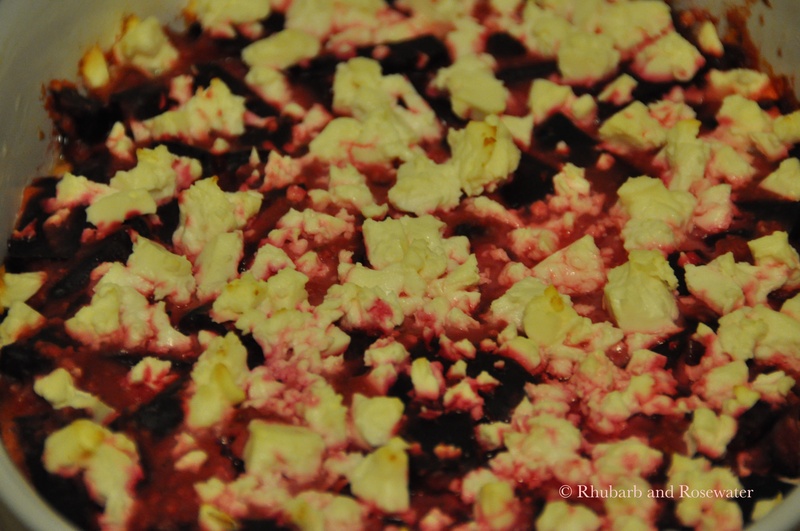 Put the beets mixture into a buttered casserole dish. 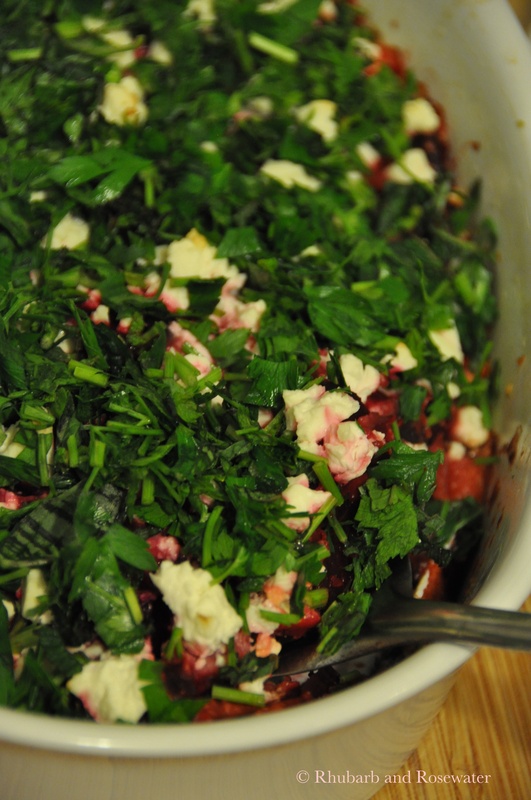 Crumble feta on top. 5.) 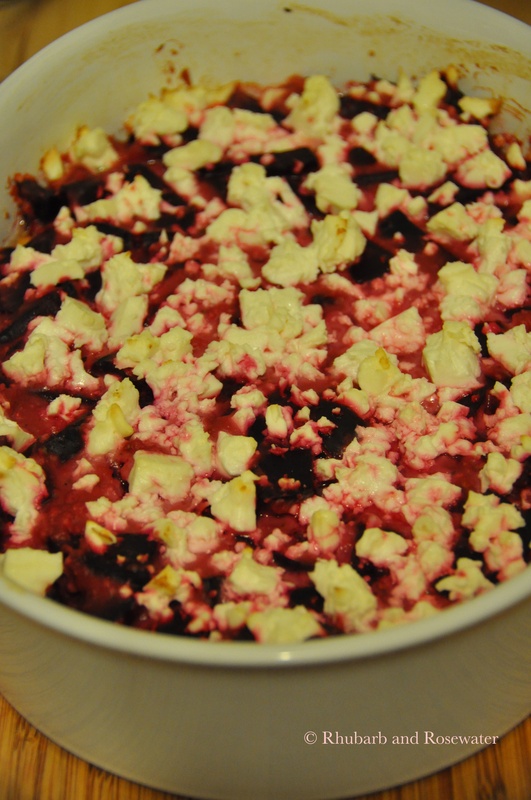 Bake casserole in the oven for 20-30 minutes. During that time chop the herbs. 6.) 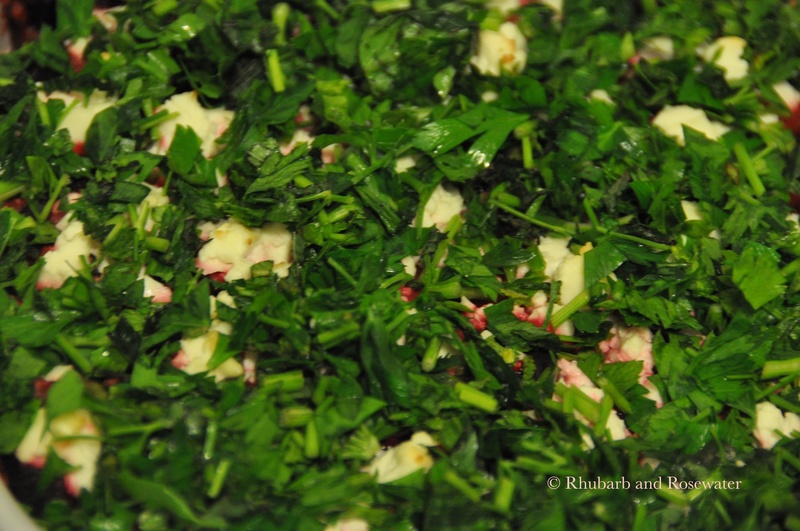 Put the chopped herbs on top and serve. Gorgeous colours, and so fresh looking. Great idea! Thanks, Hilda! 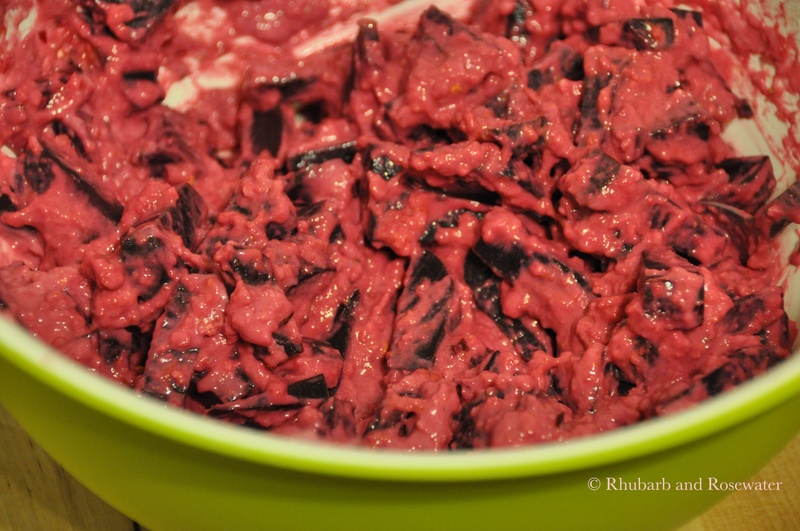 Usually I combine beets with roasted pumpkin and goat cheese for a colorful salad, however, this time I wanted to try something new! 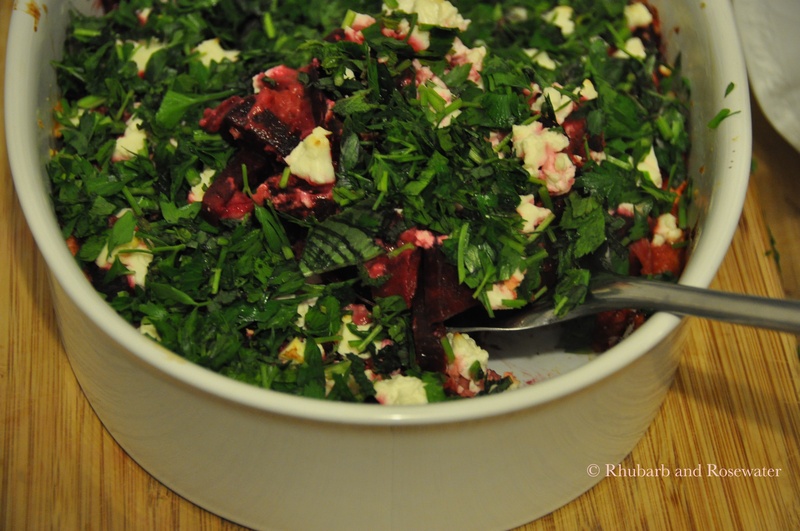 I love the beautiful colors in this salad looks fresh and light!